It's that time of the month, again. 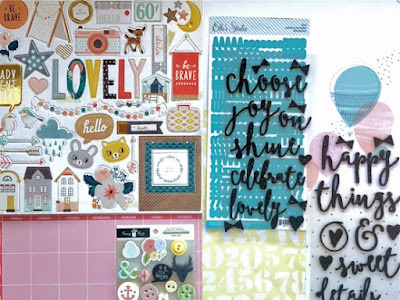 Time to share projects that we made with Gossamer Blue's September kits. They are adorable and I had so much fun with them. Filled with Crate Paper, Pinkfresh Studio and GB exclusives, they don't disappoint. There are still a few kits left, so hop over to the shop and grab one before they are all gone. So, here is one of the layouts I created this month. 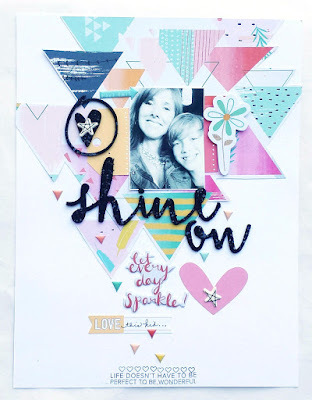 I absolutely adore the triangle paper on this Pinkfresh paper. I cut a part of the paper and trimmed around the triangles. Then I attached them to my page. From there, I added a few extra embellishments and VOILA, my page was done. It was really quick and easy. My next layout uses a bunch of the sweet Crate Paper Wonder collection. 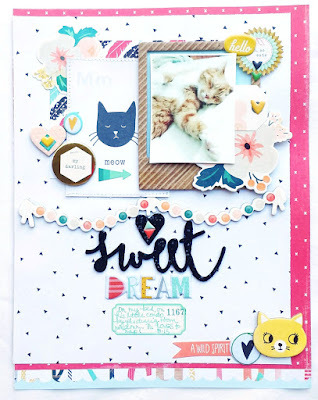 I loved the kitty embellishment and journaling card had to use them on a page about my sweet cat. 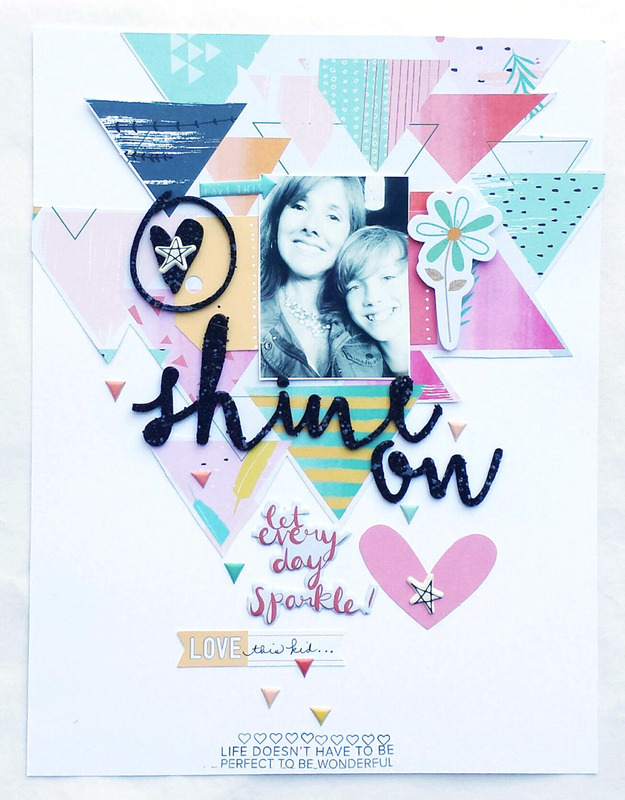 The chipboard frames were perfect for layering, as were the die cuts.